Pie and a Pint night: Striking the right balance in offshore renewables. The BES-Scottish Policy Group is taking its popular Pie and a Pint nights to Aberdeen. Join us and our fantastic line up of speakers to discuss getting the balance right in offshore renewables: ecosystem effects, trade-offs and climate change. The event is taking place on the 19 March, from 4pm to 7.15pm at The Station Hotel (Cairngorm Room), 78 Guild Street, Aberdeen AB11 6GN. 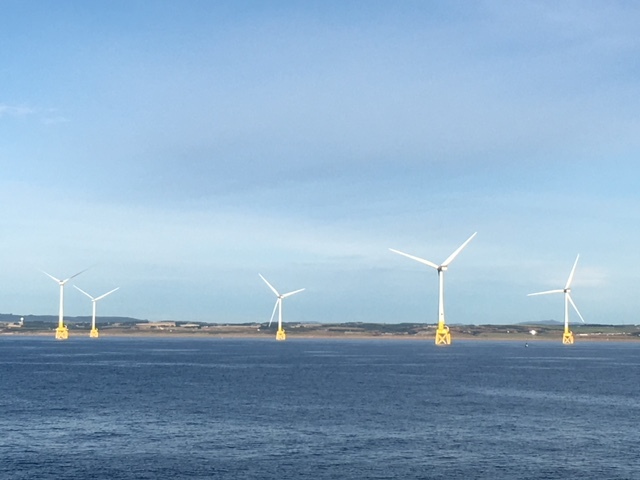 You are welcome to join us at our marine-themed pie and a pint night in Aberdeen where we will be discussing the environmental trade-offs that need to be considered in planning offshore renewables. Getting us underway, we have five speakers who will give us their views – followed by a short Q and A. You will then get a chance to have your say in an informal setting in the workshop-style discussions. Following this, you can catch up with colleagues over a free pie and a pint. A blog of the event and a report capturing the key points and recommendations made by speakers and attendees will be made available on the BES – SPG website. You can view past reports here. If you have any queries about the event please contact Maggie Keegan for more information. This one-day practical training workshop will cover an introduction to filming, audio recording, and editing videos to communicate your science. Join the Aquatic SIG for this workshop exploring current and future pond conservation and management.